If you ever wonder how and why different fuels like gasoline and jet fuel will burn then wonder no more because this video will set you straight. 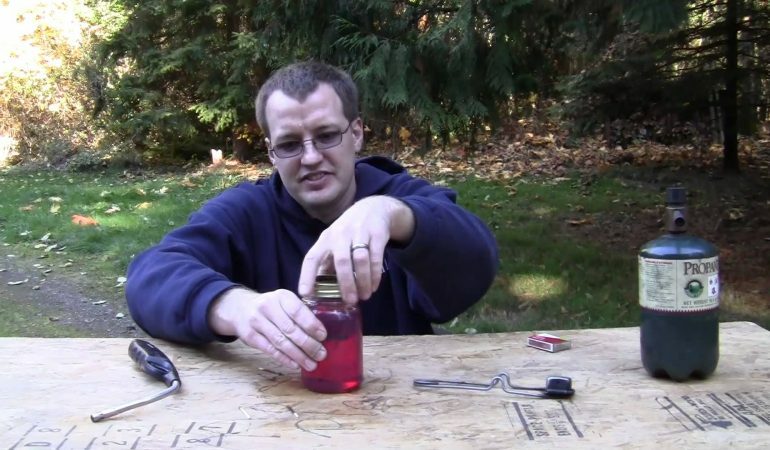 The guy in this video has a bunch of different fuels including jet fuel, gasoline, diesel, karosene, and a couple others. His different tests include dropping a match in, blowing them with a propane torch, and mystifying them in front of the propane flame. Is he a future Darwin Award winner or like Bill Nye the Science Guy? Now you know!